Definitely, one of the biggest names in the accessories business, Jimmy Choo has collaborated with New York visual design artist Rob Pruitt to create the special 18 piece spring/summer 2013 capsule cruise collection. 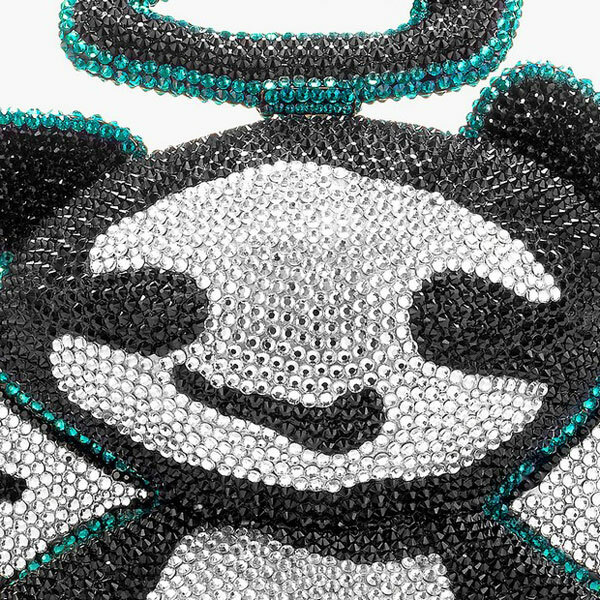 The most interesting part of the collection are two unique limited edition of small panda bags that represent good and evil. 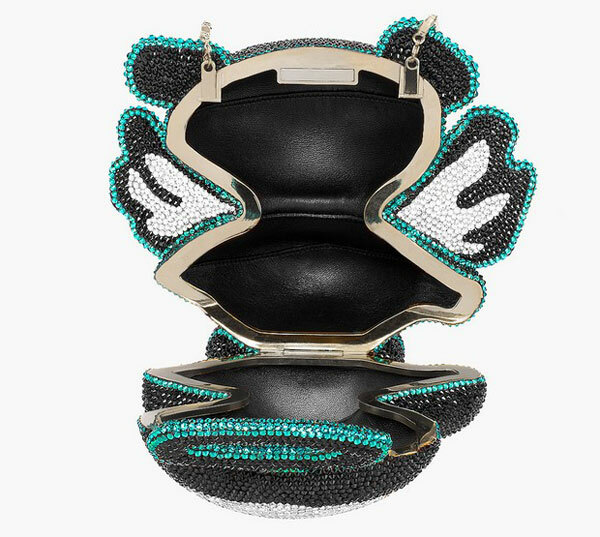 These two designs, the ANGEL panda minaudière clutch and the DEVIL panda minaudière clutch, feature more than 11,000 hand-applied Swarovski crystals with a detachable gold chain shoulder strap. Part of 14 limited editions worldwide, each minaudière clutch is numbered and signed by Pruitt and comes in a special calfskin box embossed with the Jimmy Choo logo. Inside, it sits in a specially-designed leather bed that fits the specific size of the piece allowing it to be viewed as a wearable piece of art.